I graduate college Saturday !!! After managing to cram four years into six, the end is finally here. I moved back home temporarily to finish and I will be continuing on this adventure called life. My plan as of right now is to travel up to the pacific northwest for the month of May, stopping in Portland, Seattle, and Vancouver. Then cruising down to Tahoe for the month of June, flying to Atlanta June 15th for a fun weekend with the family, and then going to Denmark to hang with some friends and work at their new coffee shop ! 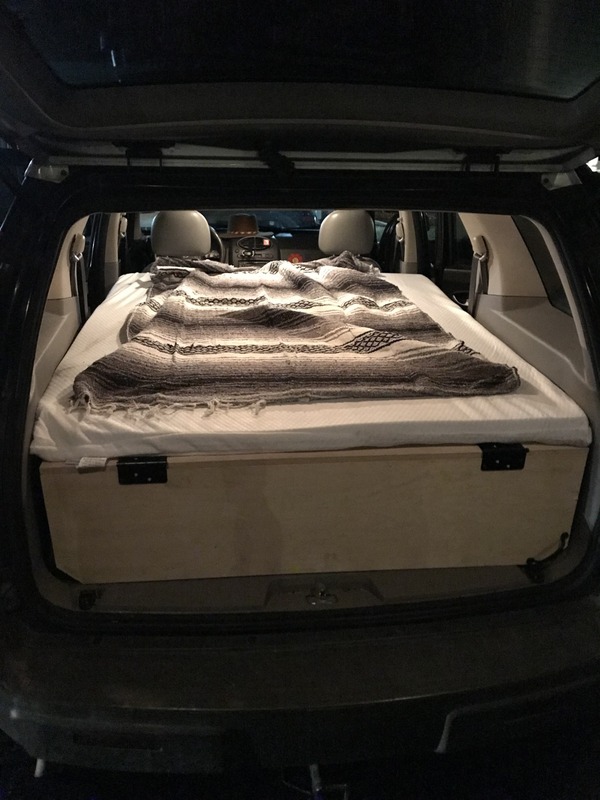 Here is the start of the build process in my 2004 Saturn Vue, I am hoping to sleep in it sometimes when a campsite or friends couch isn’t available. We built the platform out of 8 ply birch wood and 2X4′s. 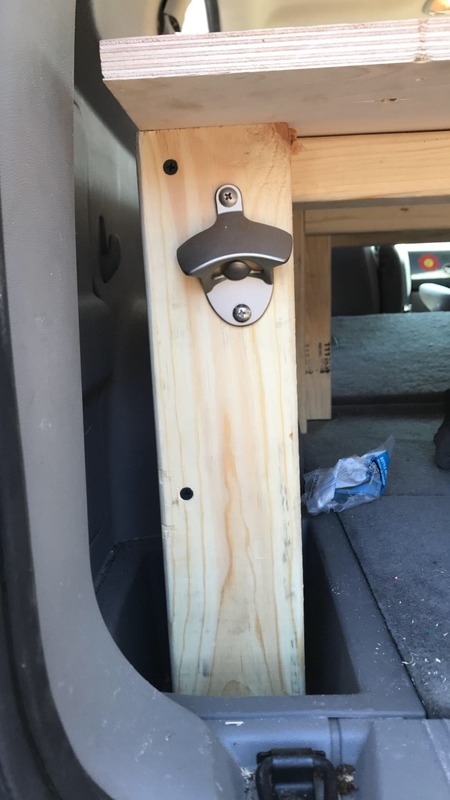 The backseats are still in the car and by removing a few screws we can easily still fit passengers in the back, thanks to some genius engineering by Izaiah and myself. 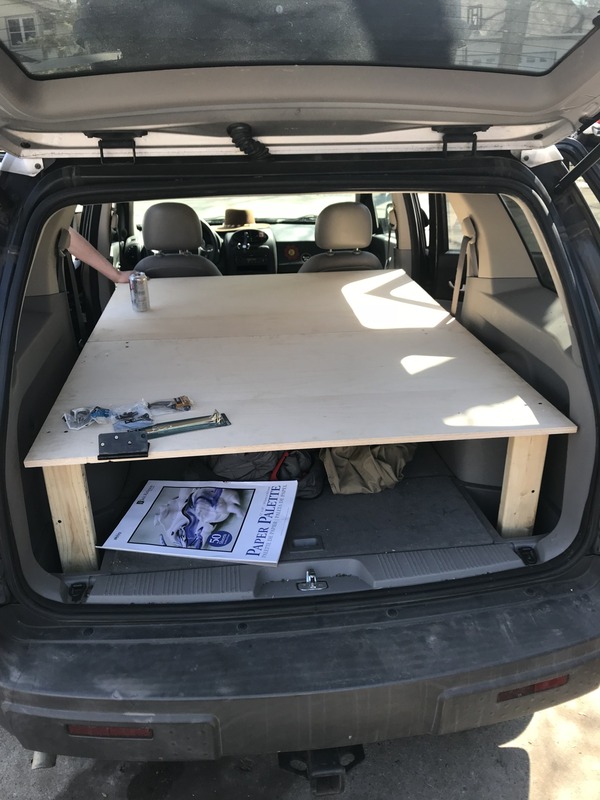 We also added a fold out tabletop for cooking and counter space. I final touch is the bottle opener attached under the table top !